Since May of this year, the High Point Police Department has experienced a vast increase in heroin related overdoses. Emergency Responders have been able to reverse a majority of them upon arrival on scene but 11 of the 102 overdoses identified have resulted in deaths. This appears to be representative of a national trend that is currently impacting numerous communities throughout the country. 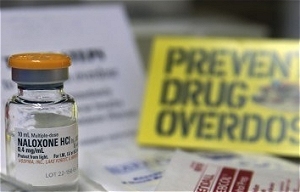 ADS is pleased to announce that its High Point Facility located at 119 Chestnut Drive High Point, NC is the first substance abuse agency in the county to begin distributing Naloxone kits to persons at risk of experiencing and opioid related overdose to family members, friends, or other persons in a position to assist persons at risk of experiencing an opioid-related overdose. These kits will be available onsite free of charge every Wednesday between 12-2. Along with naloxone kit distribution, The NC Harm Reductions Coalition will educate people at-risk of an overdose, as well as train individuals who reside with, interact with or care for at-risk people such as family members on how to recognize signs of an overdose and how to provide emergency aid. The NC Harm Reduction Coalition will also be doing outreach Naloxone kit distribution. Please call1-855-801-9817 for information about the onsite kit distribution or call (336) 543-8050 for information about the outreach kits distribution. 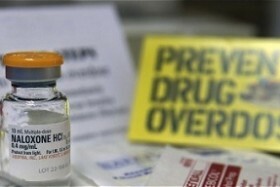 Many of these overdose deaths can be prevented. Lives are saved when people are trained to respond to an overdose. Hi my name is Vince. For quite some time I’ve been aware of narcan kits and I’ve been hoping they would become available in my area. I doubt it’s going to happen here though, due to politics in my area. I have community service I need to do and actually have been thinking about trying to get a program started in my area. I live in south west Florida. Opiates are a huge problem here. I am prescribed dilaudid for a back injury and have been for many years. I’ve been in and out of recovery for years as well, and have had issues with overdosing after periods of not taking my meds. Thankfully the paramedics have always got there in time to save me, but I hate to think how close its gotten. I’ve also had a friend overdose at my house and it was a very scary situation. Since there are no programs in my area I was hoping I could possibly have a kit sent to me. If that is not possible, I would appreciate information on how I could obtain one. It will definitely end up saving a life. I’ve known too many people who have not been as lucky as I’ve been. I appreciate anything you can do. Hi Vince, sorry we are not able to mail Narcan, but EVZIO which distribute the new auto-injector narcan has a program called kaléo Cares Patient Assistance Program and they may be able to help you gain access to this medication. I have attached the hyperlink for their website. Posted for Anthony Steele by Max Menius.